At Chef Pietro Merendino’s Mama’s, the restaurante made famous in the book “In America Si Fa Cosi” (In America you do it this way), the crowd was thick & loud and the music all Italian. 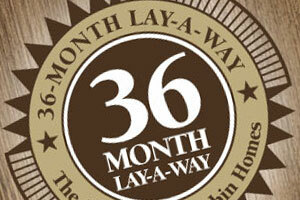 This haunt of Log Cabin staffers has hosted many celebrations but this one was very special. 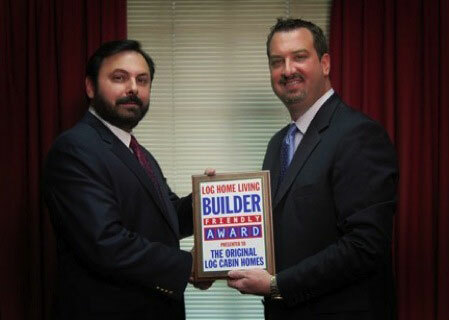 Builder Friendly Award at the awards banquet in Rocky Mount, NC. 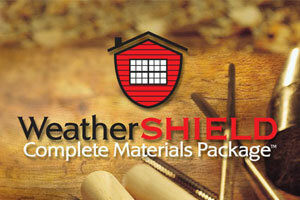 More people live in log & timber homes in the United States than ever before—more than half a million and counting. The log & timber home market constructs more than $4 billion worth of homes each year, according to the Log Home Living Institute. Because, among other things, these elegant residences offer a connection to nature and to our American heritage that no stick frame home can duplicate, Baby Boomers in record numbers are lining up for these rustic palaces. But the industry has far more interested buyers than it does builders and developers to construct the homes. Builders and Developers interested in serving this niche market but don’t know where to start, can turn to Original Log Cabin Homes headquartered in Rocky Mount, NC. 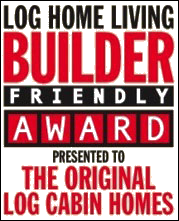 Because the company offers a comprehensive construction manual, builder training and a host of other services, it has received the “Builder Friendly” award from Log Home Living Magazine, the pre-eminent nationwide consumer publication that profiles innovative log & timber homes and companies. The Builder Friendly designation means a log & timber home company offers architectural design & engineering services, log grading, a third-party quality assurance program, a comprehensive construction manual, construction training, a certified and dedicated customer service staff, written life-time warranty, on-site construction assistance, construction drawings, manufacturing & delivery capabilities, as well as having a written policy detailing the costs of design services and a host of other support services. 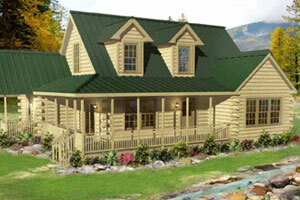 Log Cabin Homes is a certified GREEN manufacturer!